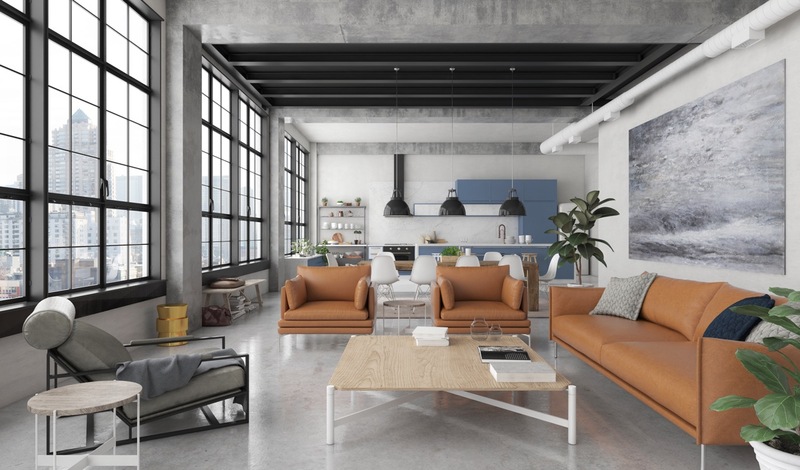 Nothing says effortless cool and easy maintenance than an industrial-style living room. Exposed brick walls greet black and white typographic prints, factory windows meet shaggy rugs, and iron piping encounters roughshod wooden floors to create living spaces that look perfectly thrown together. 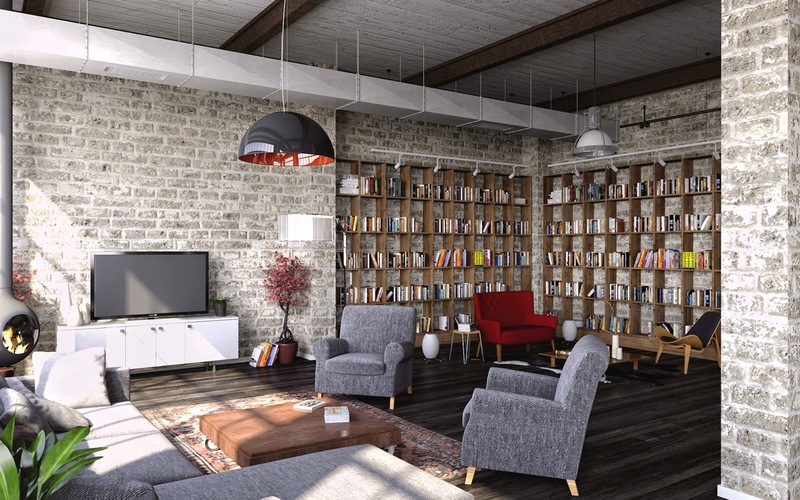 Unleash your inner bookworm by piling your factory ceilings high with books. Inject prim and proper detailing, comfortable couches and beautiful light fixtures into a space lined in concrete. Light a fire in the middle of your living room, housed in copper and glass. 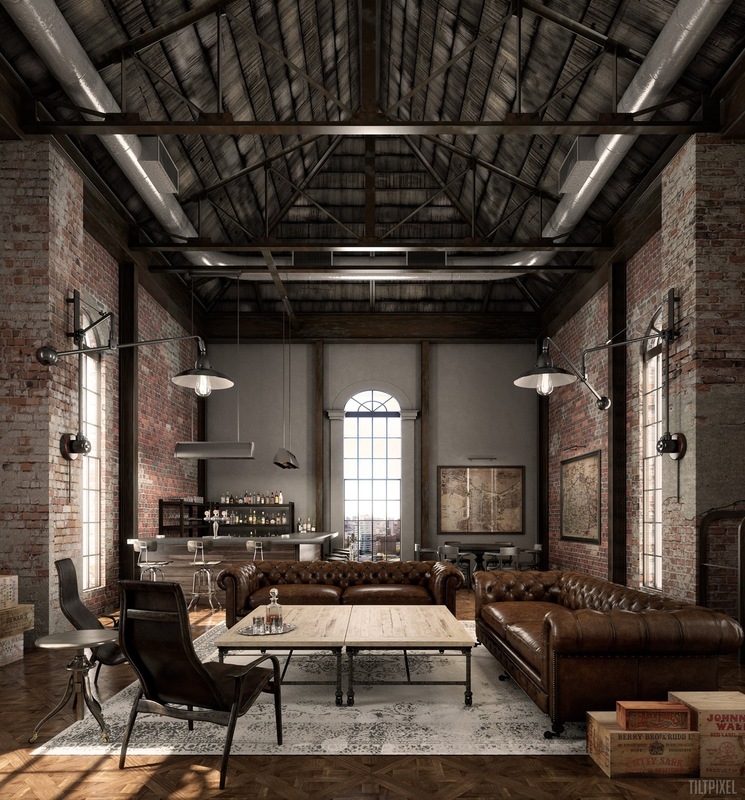 Design your own industrial-style interior, by taking a read through our lounge guide. Make the most of concrete walls, by interspersing them with wood and slate. 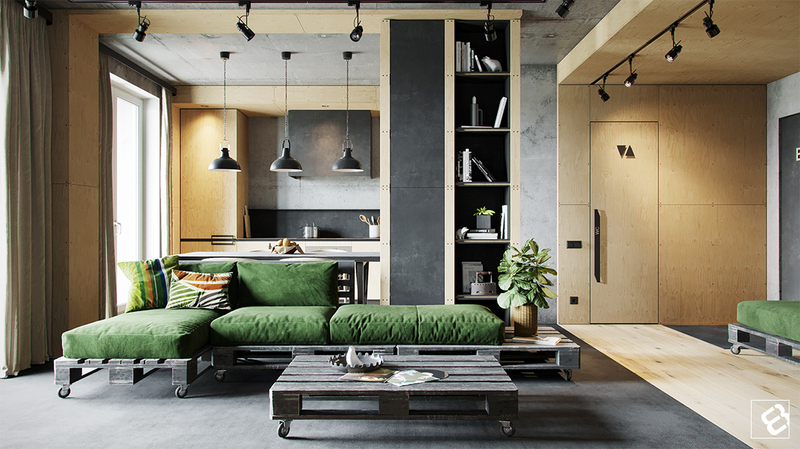 This many-textured apartment keeps it simple by using only brown, grey, black and green in its colour palette. Camera lights and a wooden runway guide the way in, while longer pendants dangle in the kitchen. A block sofa and wooden-crate coffee table offer a place to relax, while newer crates provide an inbuilt seat opposite. Black, chalkboard-esque textures make the room appear worn and torn, as a projector TV caters to modern needs. 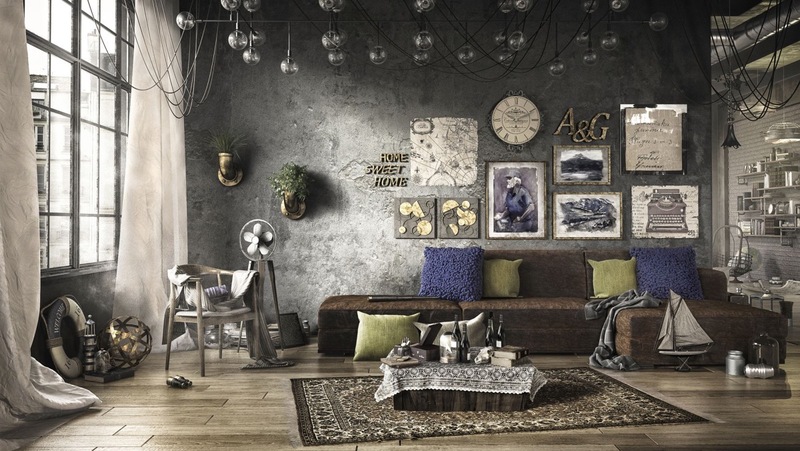 Create a dark and dreamy industrial home decor mood. This high-ceilinged space reverses roles as polished wood lines the ceiling, rough concrete the floor. A soft brown L sofa provides a seat, matching the wooden tones of the bookcase behind. Rows of black shelving add an air of intellectualism, eschewing artwork. Stencilled details in a one-wheel coffee table, rows of lighting and a staircase add finishing touches. An industrial living room doesn’t have to be brown and grey. This smaller space brings in a dash of lemon, which forms abstracts and a slinking cat in the kitchen. 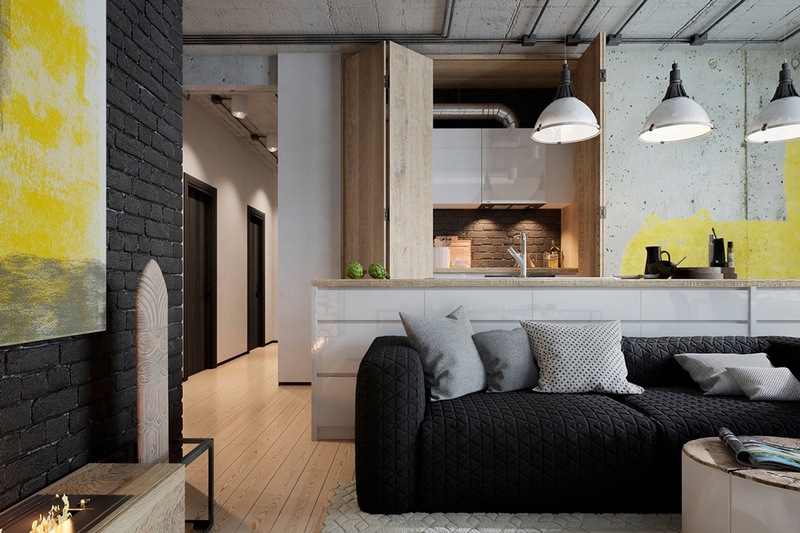 A black quilted couch offers comfort before painted brick in the same hue. Light-wooden floors create warmth amidst concrete and grey, as guests are led to a modern panel fire. Lucky enough to live in a loft? Use its high factory windows to full effect. Unfinished concrete walls and wooden floors provide an industrial canvas for bold, modern ottomans, sleek grey booth chairs and an eclectic dining table. Elements of cream dot the space in hovering lamps, simple bookcases and dining table ornaments. 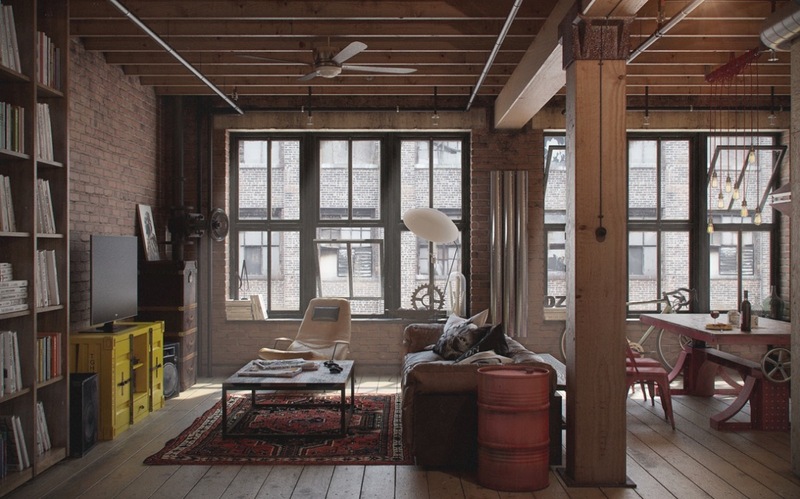 Paired with white rafters and different-texture rugs, its high windows shine upon a room both industrial and modern. Have a ceiling that stretches two floors? Make the windows a little wider, the concrete bolted and the rails iron, and you’ve got a winner like this classy living space. Mirroring the joinery, a geometric light hangs low from the ceiling, drawing the eye to its two chains. 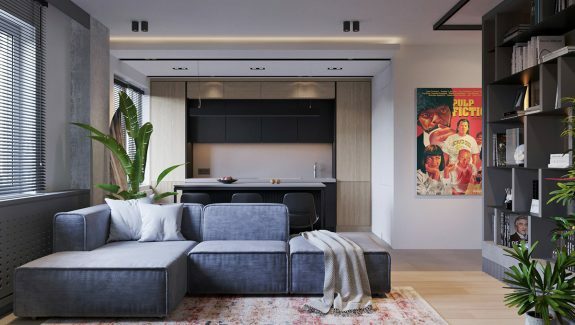 A large, airy space allows black to pepper framed artwork, seating and rugs, while an exposed brick walls bring colour. Unique finds in a yellow ostrich egg, golden telescope and garbage-can pot add personal style. 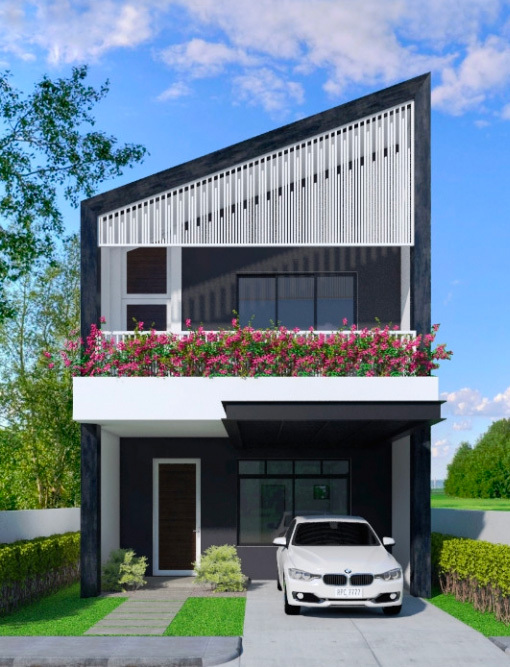 Want to create two floors, where you only have one? 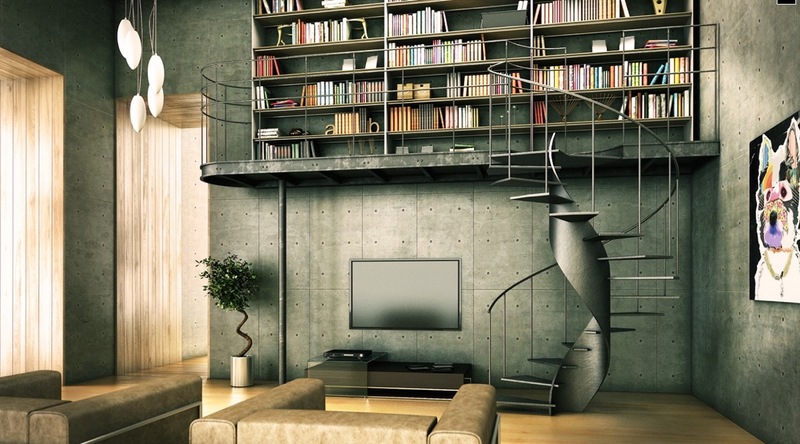 Make like this living room and construct a steel staircase on stilts. Framed by high ceilings of bolted concrete, a spiral staircase winds up to the loot, lit by drop pendants on the way. Low, leather cubby chairs, an abstract gangster dog and simple potted tree finesse the look. 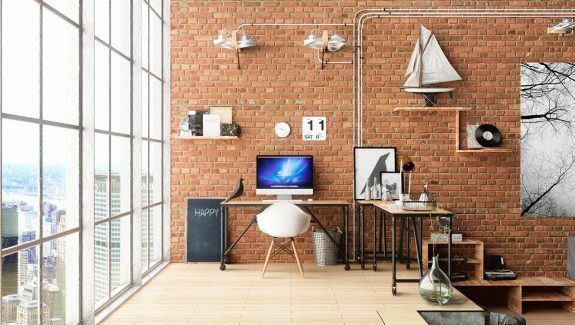 Industrial spaces don’t have to be separate. 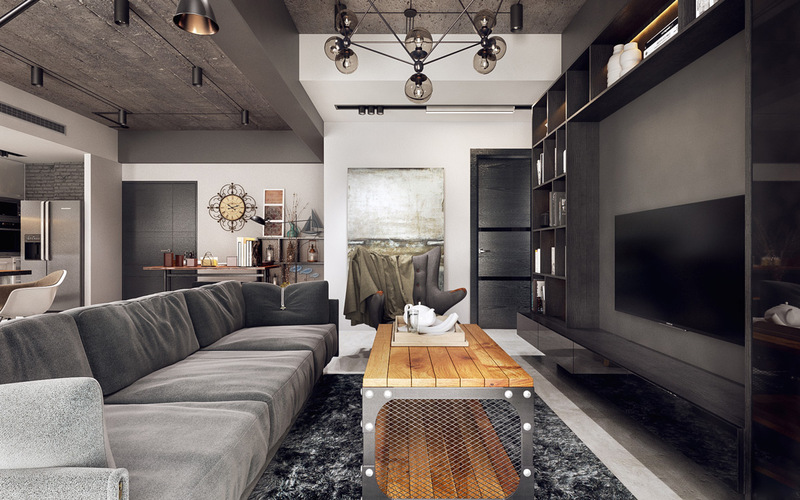 This lounge, kitchen and bedroom area uses steel, glass and polished wood to create the vibe of a modern factory. 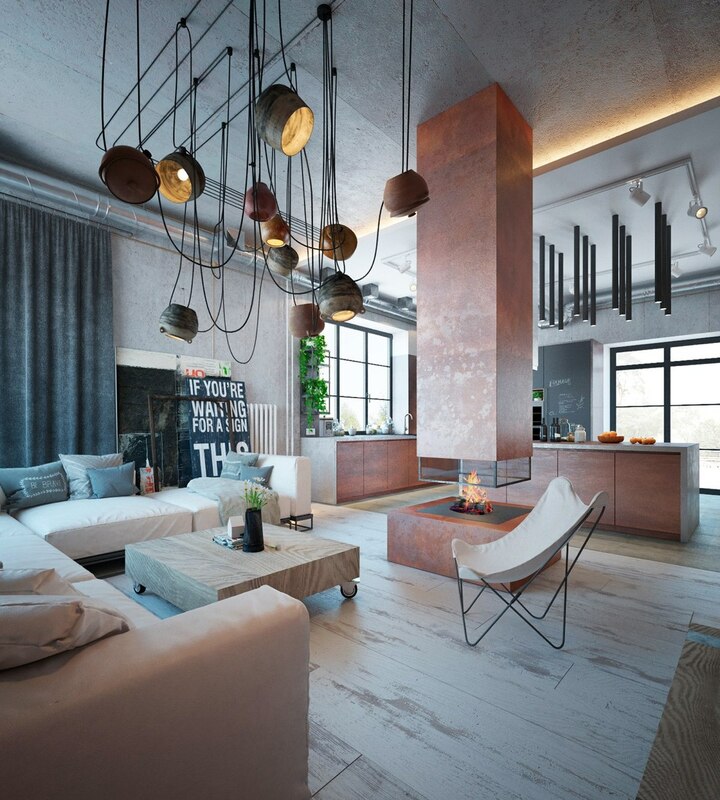 Ceiling rafters, couch frames, staircases and kitchen stools mix wood with metal. Through an uncannily-high entrance, the floor reveals large extractor piping, impressive under a runway of glass. A cloister of idea bulbs form a chandelier and edge along the runway, lighting up the space alongside factory windows. 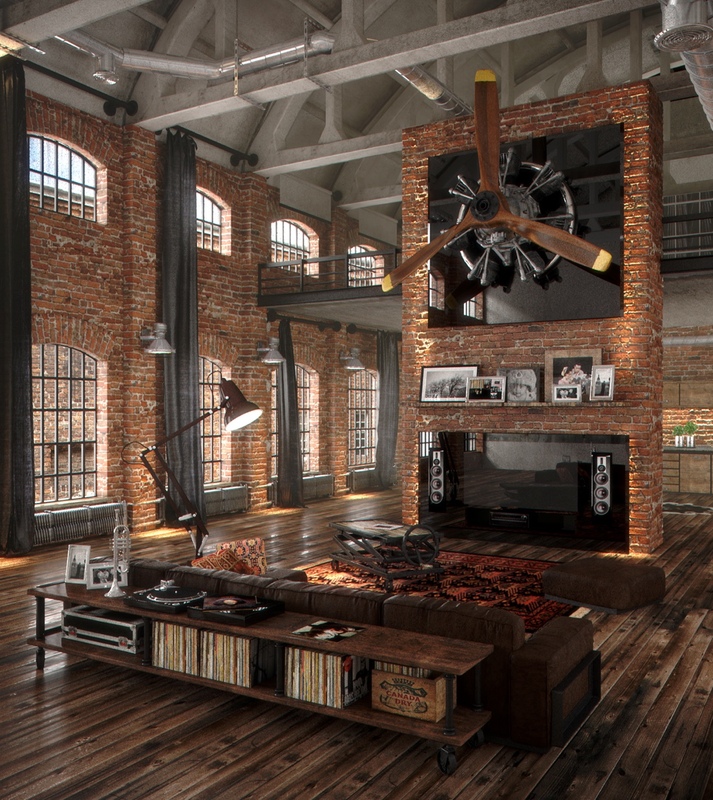 Take your industrial living room down a level. 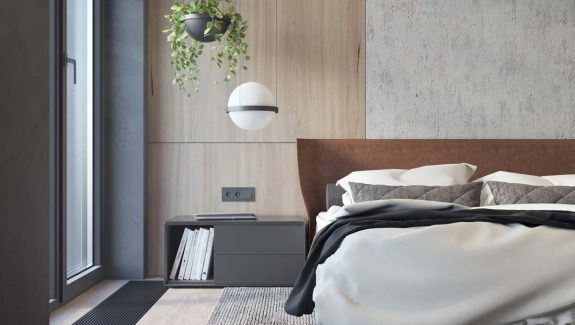 This space keeps it clean and sophisticated in terracotta, grey and light wooden hues. Factory windows meet face-to-face with an abstract of the sea. Polished concrete holds terracotta leather met by white and wooden tables, their steel legs tying in modern elements. Potted plants beside hark back to nature. Give your lounge an artsy look. Under a concrete ceiling and snaking extractor fans, a criss-cross wooden floor holds a variety of art deco objects. A black dog statuette guards the tree-lined balcony. 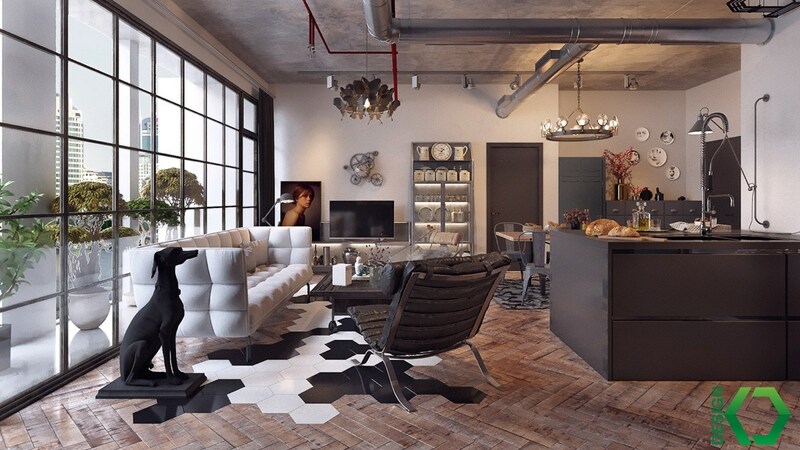 A quilted white leather couch and chandeliers add luxury, while a chequered floor decal ties black and white in. A final fusion lies in the china cabinet, industrial in its steel frame, traditional in its wares. 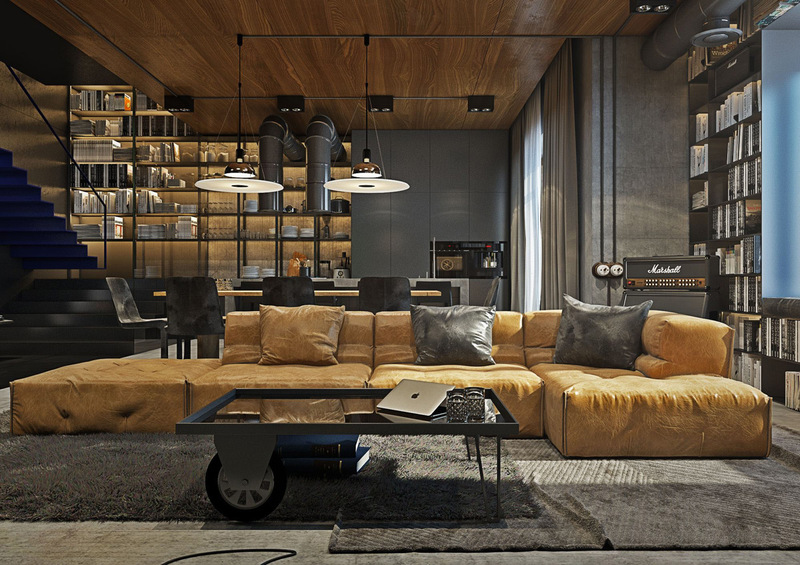 This industrial lounge carries a relaxed, warehouse vibe. Faded wallpaper sits beside whitewashed rafters and exposed brick, creating large expanses interspersed by leaning prints. Two grey leather couches slide over a scratched rug, while a bevy of unique floor lamps keep watch behind. Create fire in the middle of your lounge. This lounge uses brown and grey wood with a sprinkling of brick to house an innovative fireplace. The focal centre of the room, copper-pipe railing keeps the feel industrial, while a one-piece S-chair, Turkish rug, turquoise L-seater and pendant lamp bring elements from the 70’s. Indulge your hipster inclinations with a bike on the wall. 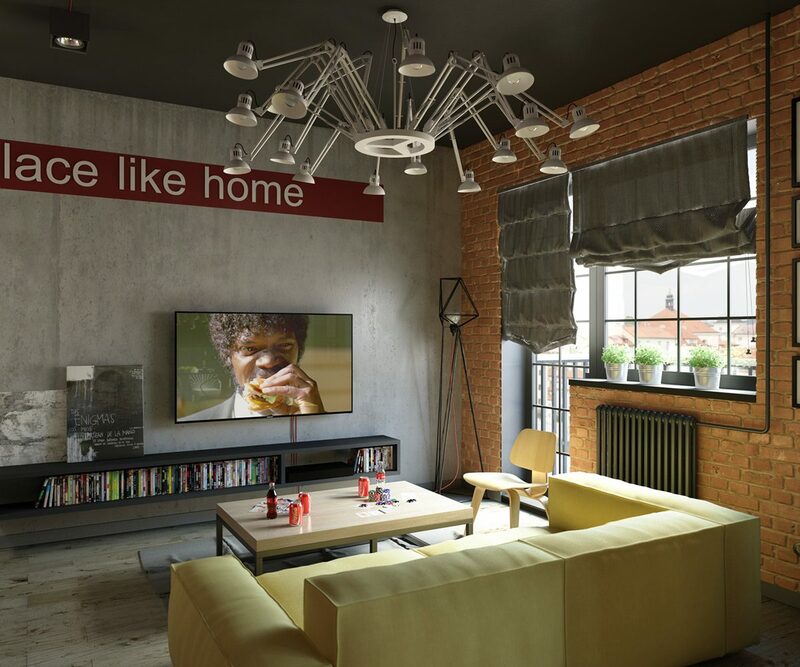 With one wall washed over in white, this mostly-grey space uses its original red brick as a feature. Lined with Scandinavian-style shelving, it makes an impact beside muted grey seating and a horsehair throw. A geometric rug, female figure and glass-jar lighting provide personality. 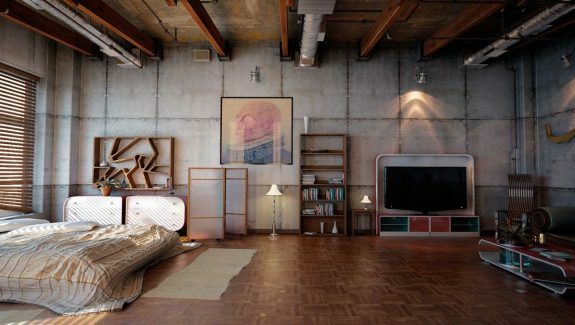 Living in an abandoned factory? Make the most of your location, by mixing the corporate and industrial. Stacked glass cubes create rooms under corrugated iron, as thick grey piping winds around the space. As bright orange pops beside concrete and exposed brick, light falls from ceiling-hung rosary bead lighting. A mosaic floor decal and leather seating take centre stage, as large palms and a jukebox lurk behind. Take the rustic look into the 21st Century. 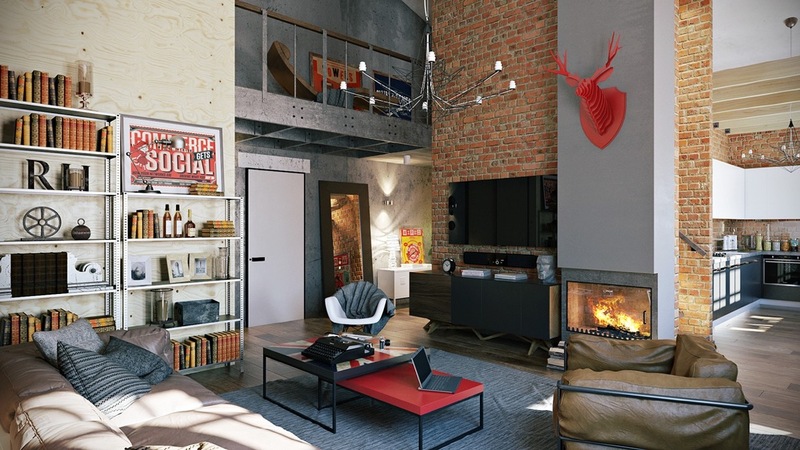 Using pops of red to highlight focal spaces, two leaning prints, nesting coffee tables and wall-mounted deer head draw the eye over fire. Leather couching goes from rigid to relaxed; bookcases from wooden and solid to made of metal. An exposed brick column and concrete inner balcony add points of interest. 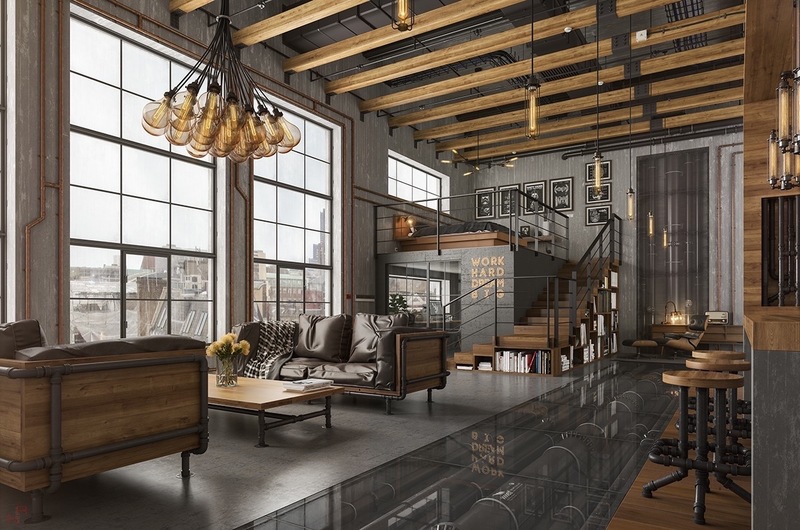 Mix the industrial and the heroic in this unusual living room. 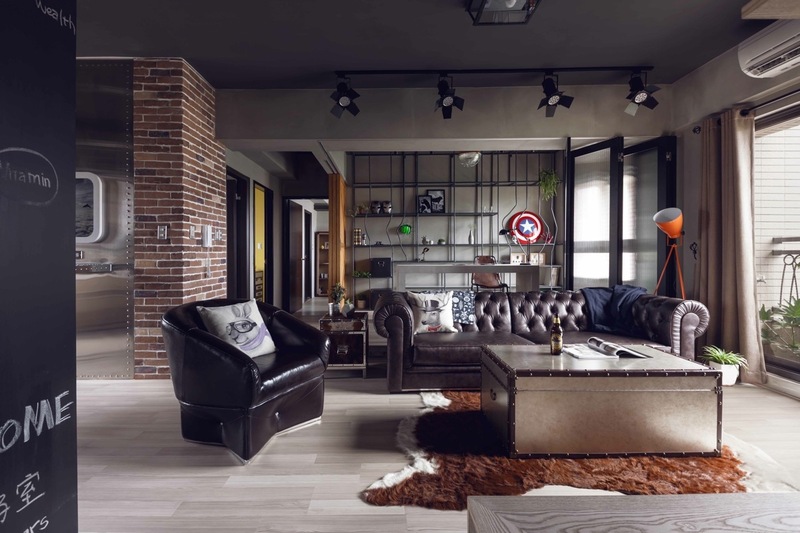 Part of a superhero-themed home, an exposed brick panel stands beside a row of camera lighting, as a Marvel star shines in the metal bookcase. Quilted leather couches hark to the rustic with a cow hide rug, while a hi-vis orange lamp and metal table make it industrial. Make the industrial style completely your own. In this lounge, a metal spider pendant creeps over a light wooden table, as a lemon-coloured modern sofa sits to the side. Traditional exposed brick and concrete walling feature a typographic decal and DVD cabinets with the latest screens. Make your living room a time machine. Encased in brick with train station windows, an exposed centre panel hosts a giant artwork fan. Pops of orange and brown create the couch and rug, while unique floor lamps shine over the top of a cherry picker coffee table. 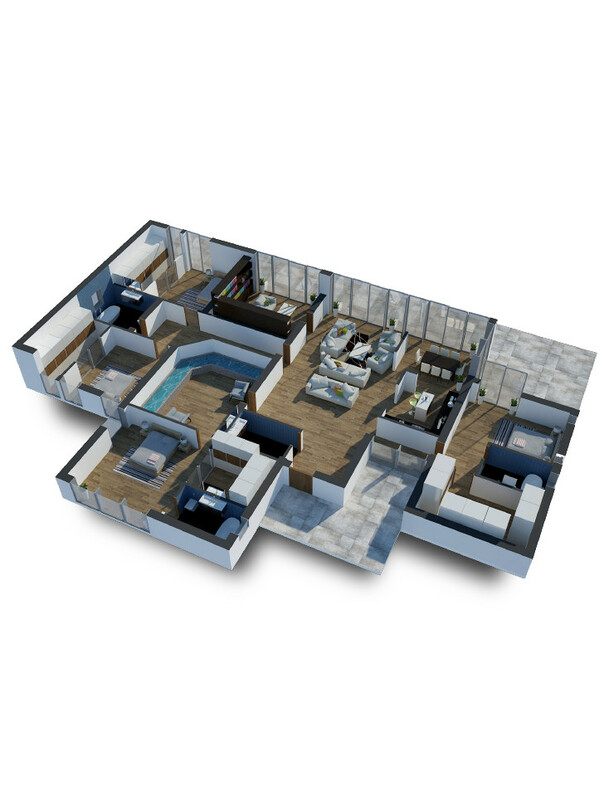 Designing a bachelor pad? 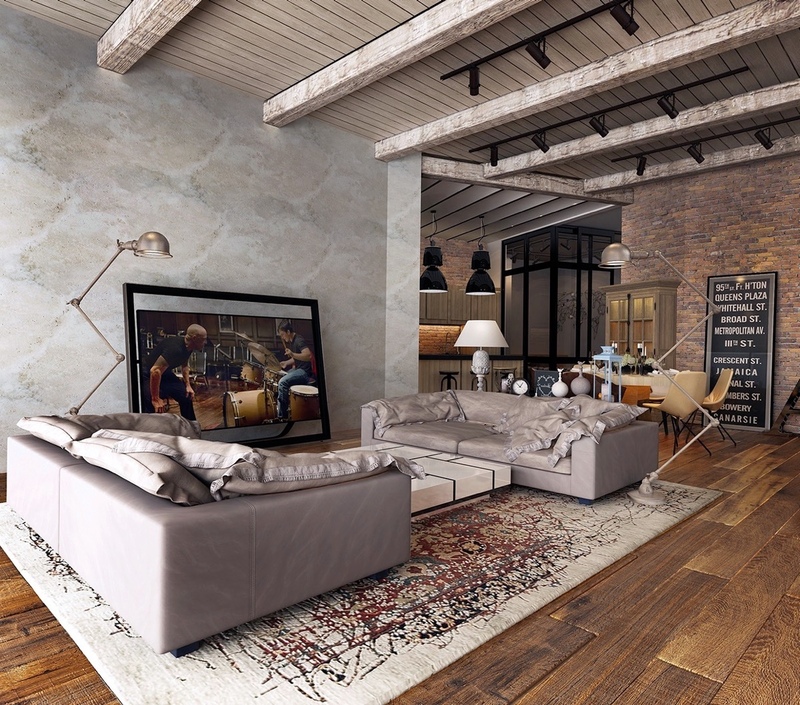 This brick-walled living room has everything you need. Three hanging pendants light up a Darth Vader print, two black leather chairs, a gramophone and telescope, as a white electric guitar hides under the stairs. Drenched in white, a floating staircase mimics the ceiling rafters and colour of the rug. Add comfort to a concrete room. Beige hessian lamps and pendants mingle with muted grey sofas and a half-and-half coffee table, tying in the two. Potted trees add life beneath three framed photographs, while a cascading wood and steel bookshelf holds memories in trinkets. Want a room lined with bookshelves? This industrial interior eschews paintings for the colourful form of books, which line two sides of two brick walls. A grey tweed lounge set and low-down table add conversation, while an orange-inlet dome pendant and roaring fire bring in warmth. Red elements in a suede reading chair and cherry blossom blend in the colours. 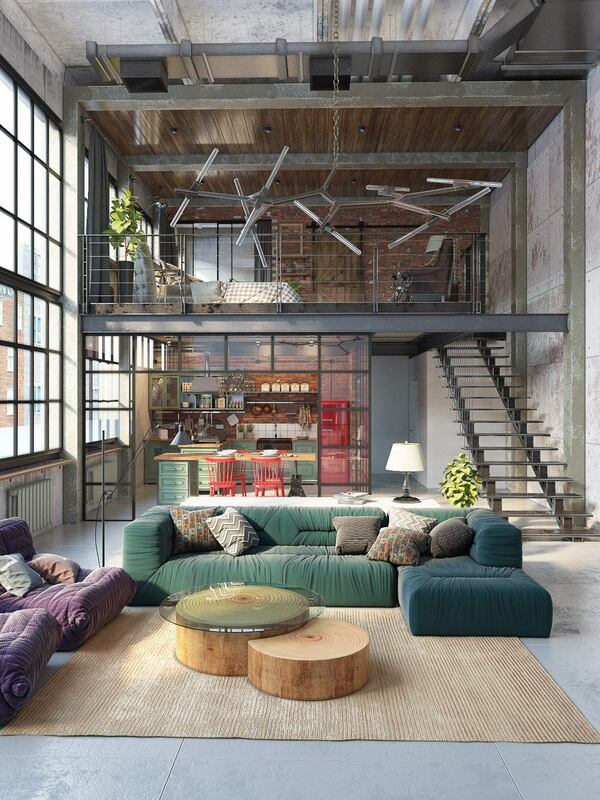 Industrial living rooms can hold colour. This concrete-walled décor sprawls a blue sofa and multi-coloured abstract across its length, as two yellow chairs say hello. A white rhinoceros head peeps over in stencil, referencing a white dining table and factory-style joinery. A wooden wheeled table and scattered toys add elements of play. Make your view the feature. 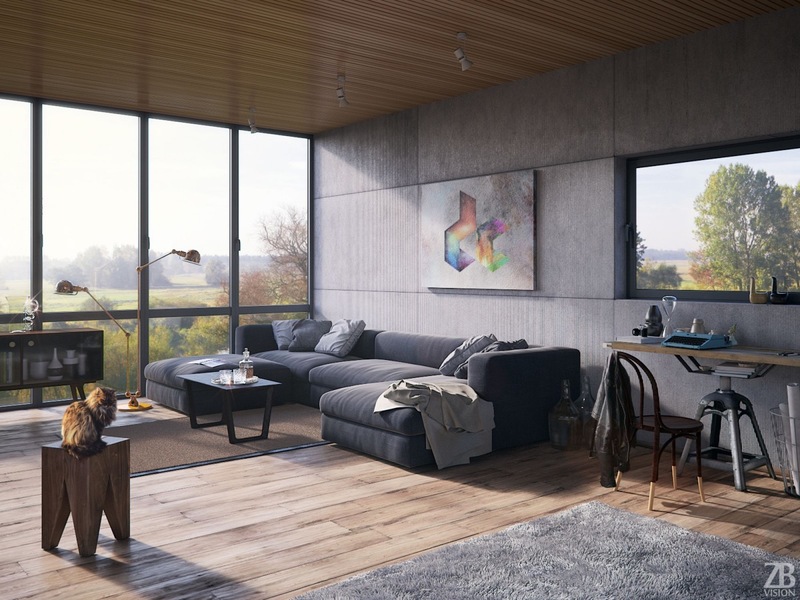 Concrete walls, wooden floors and soft grey furniture offer a perfect combo for looking out the window. As a simple wood and metal work desk offers a view outside, a rainbow abstract faces a cat and two tall hovering lamps. Let your industrial living room be full of shapes. This room uses circles to form a bauble chandelier, standing lamp and bound-leather cubby chairs. Lines criss-cross the room in Venetian blinds, ceiling rafters, Scandinavian wooden shelving and carefully-placed speakers. Central rectangular shapes in the TV, cabinet, antique coffee table and rug complete the scene. The industrial can be eclectic. Factory-windowed and brick-walled, this living room exudes a beachy feel with simple wooden rafters and a block bookcase. Screws and pulleys introduce steampunk in the windows, dining table and space above the bookcase. Colourful and playful, the bright yellow TV crate, orange trash bin side table and Turkish rug add individualism. For a simple and classic look, add less colour and more detail. This seemingly-effortless living room relaxes a taupe couch under muted-pattern cushions. 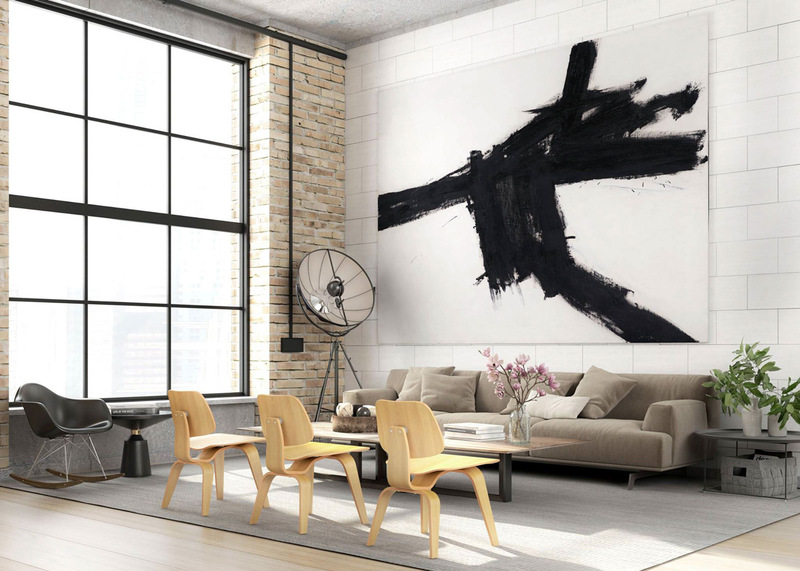 Two canvases in monochrome shades mast the space, as a rotunda pendant hangs at the same height. Stencil design cues creep over the side chair, coffee table legs and ornaments, as a similarly-stencilled window lights up the tree inside. 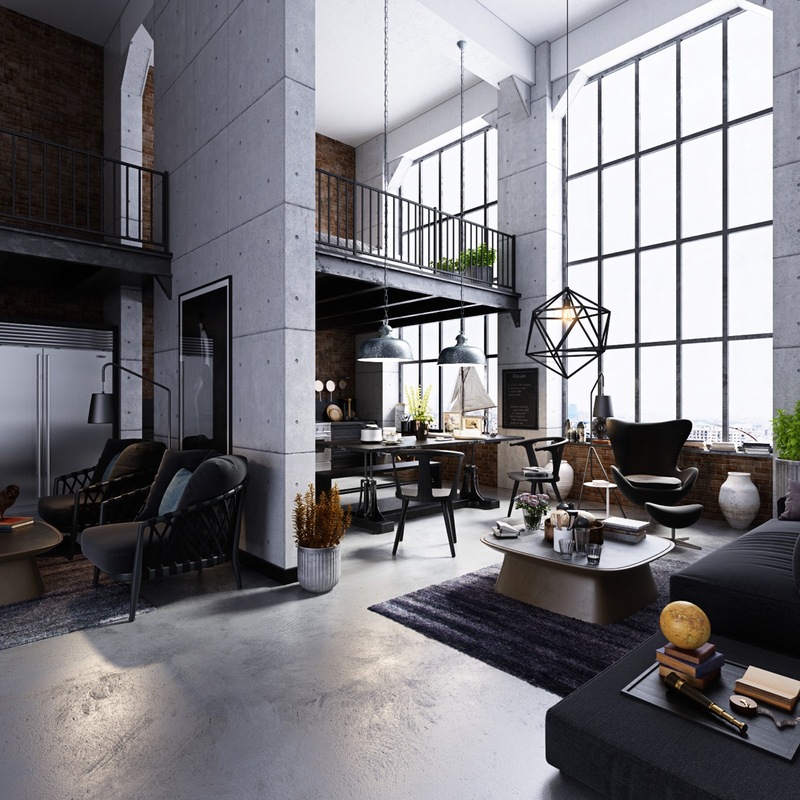 Create a sense of luxury in the industrial style. This living room wows with high Californian-style windows and black and metal vintage lamps. Glossy quilted couches invite the guest in, as two maps behind speak of the exploring of yesteryear. Combined with a faded Turkish rug, glass decanters, wooden liquor crates and a steel corner bar, this lounge is the perfect venue for sharing old travel stories. Found an old, cavernous space to play in? This brick-arched gem is made modern via flashing lights. A standing lamp makes the first move, as numerous, steampunk-esque lighting lurks behind a robot traffic light. 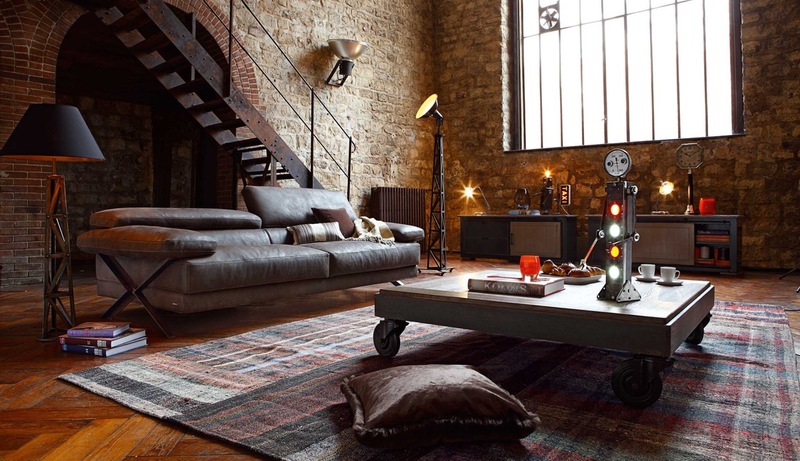 A collapsible leather sofa, factory crate coffee table, rough copper staircase and heater complete the look. Light, bright and clean, this living room houses all the family. High-ceilinged brick is framed by spacious white ceilings, chiffon curtains and French-style windows. A metal indoor balcony and staircase make a strong stand over a red-hot racing car, while a wheeled glass coffee table and orange-and-black recliner add comfort with a difference. 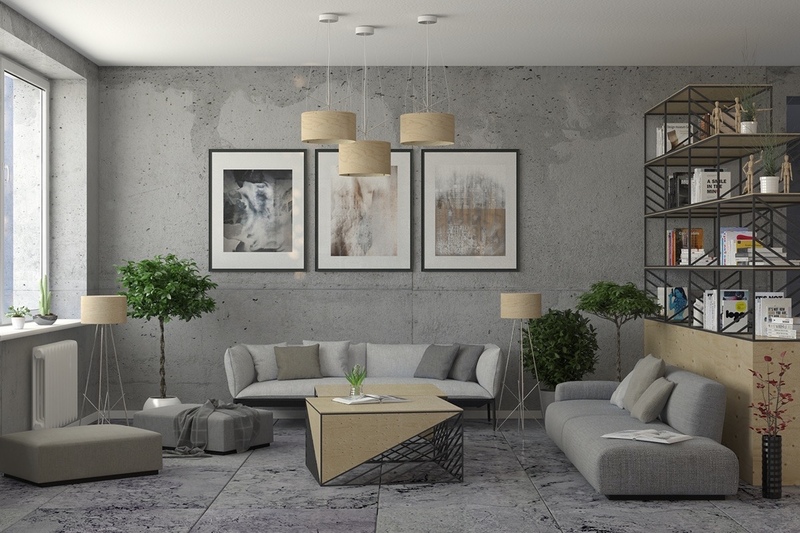 For something darker and more mysterious, this concrete living room has all the assets. A full row of train-station windows light up a rocking chair with fur throw, hinting at luxury. Cabled, rectangular bulbs form clusters over grey, wood and metal furniture, introducing the modern. A kitchen beckons with offerings of greenery. Go for a living room in white and grey. 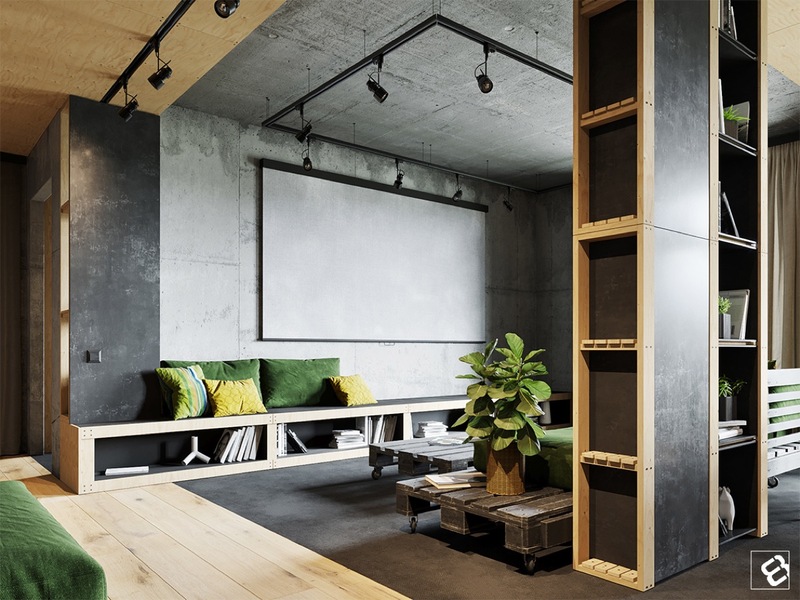 Concrete walls, light-wooden floors and high factory windows meet wood and metal bookshelves and tables lining the walls. As a soft grey sofa relaxes underneath piping, an orange tree and leaning planter shelf lead to the dining room. The eclectic interior never looked more festive. Silver-painted concrete meets a ceiling covered with baubles, as golden, mounted plants and an array of artwork fill the walls. Dusky curtains let light onto a low-lying couch, Turkish rug and tea set, perfect for sharing spirituality. Metal elements in washed cans, a fan and window joinery keep it industrial. Make a real feature of your brick wall. 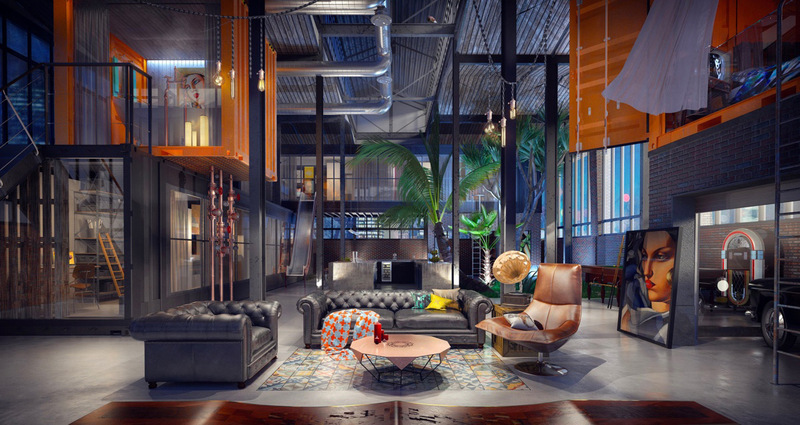 This industrial lounge inserts an eye-catching fire in the middle, as thick black bookcases and ceilings frame either side. Brown hues cover the rest of the space in a tan leather couch, roughshod dining table, copper industrial standing lamp and wooden bonsai pot. 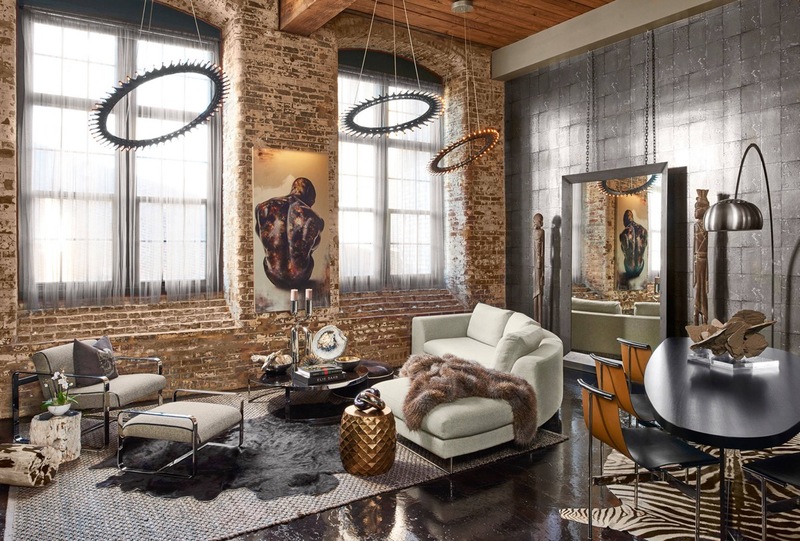 Eclecticism takes on luxury in this industrial-style lounge. Mixing exposed brick, silver metal and glossy wood textures, a bevy of animal hides and a thick grey rug create cosiness. 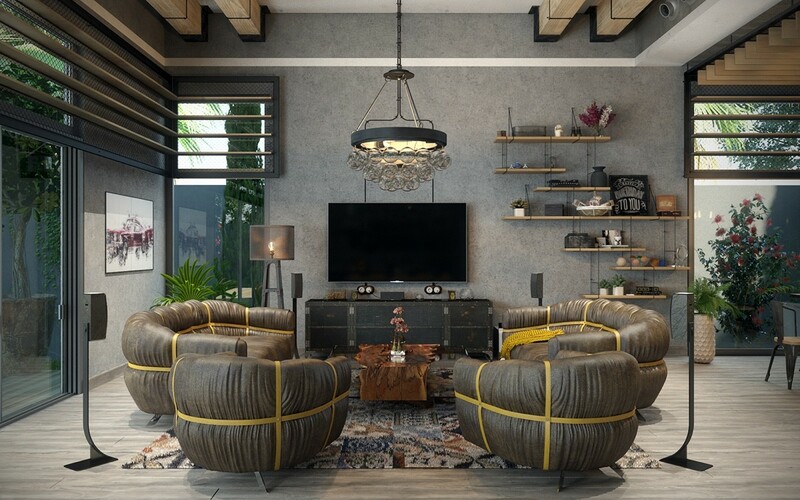 Metallics add pizzazz in circular hanging pendants, a pineapple-shape table and bending lamp, while human figures in a wall-hung painting and tribal statuettes remind this is a space for living. Sleek and understated is the name of this lounge’s game. White and grey overlap between the doors and walls, while a seaside abstract, bauble chandelier and shagpile rug bring them together. A wooden chicken crate adds an industrial touch to surfaces smooth and clean. Use industrial elements to frame a statement painting. 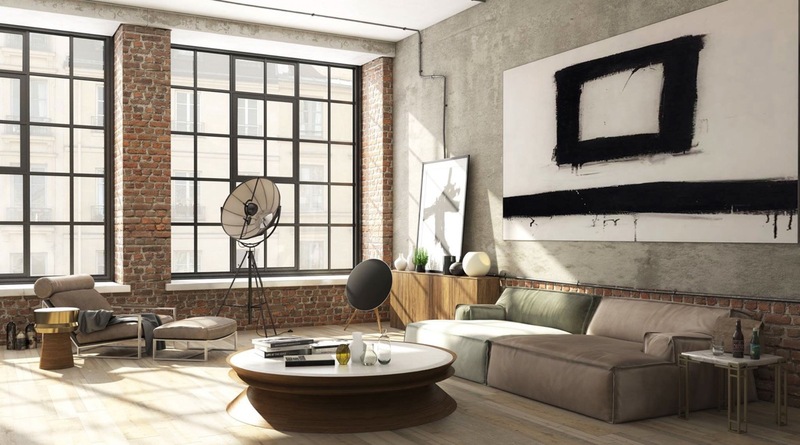 The exposed brick walls, factory windows and concrete walls of this living room afford enough clean space for a dramatic monochrome. Relaxed beige seating, photography equipment and a low wooden table expand the theme. 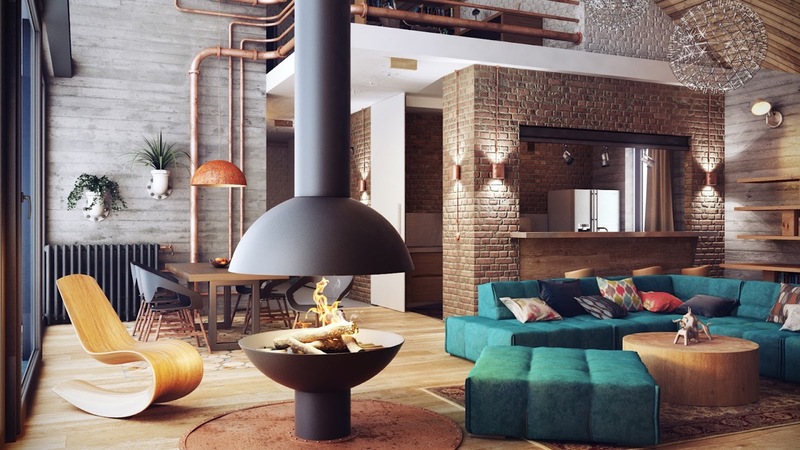 Copper is a beautiful, industrial-style accent. This living room uses it wisely, in a fireplace column mirroring the kitchen. Metallic canisters hang gracefully amidst a plethora of leads, as subtle beige seating and a roughshod roller table provide a place for rest. A leaning typographic has the final say. 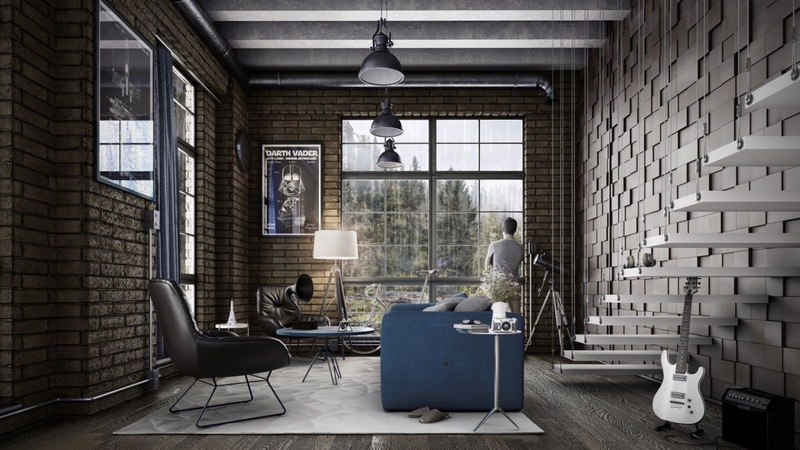 Industrial décor can lean towards the Scandinavian. A range of seating in wooden schoolyard chairs, a modern rocking chair and low taupe couch offer a range of perspectives on a large statement piece. Potted plants on a metal end table are lit by a Fortuny-style Floor Lamp. If you’re lucky enough to have two storeys to play with, be inspired by this two-view living room. 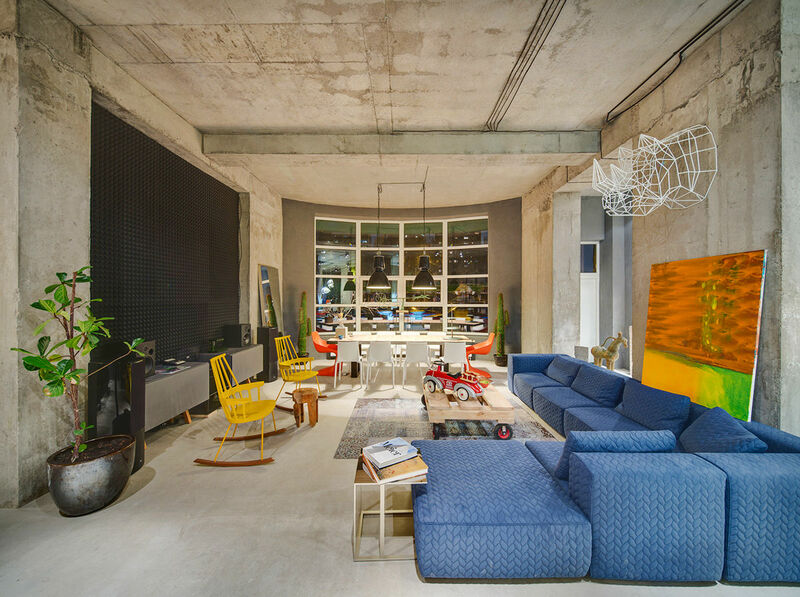 Looking towards the multi-coloured couch, metal sculptures wow over an indoor balcony. Glass extends from the factory windows through to the kitchen screen and table round, held steadily on two sanded tree stumps. 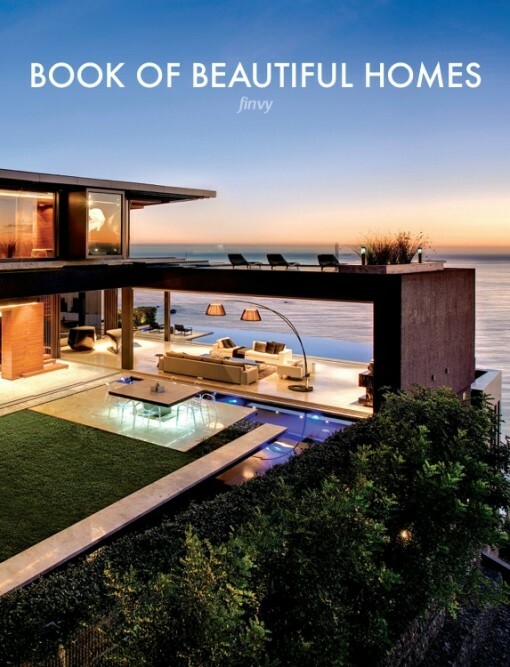 Opposite from the on-the-couch view, full bookshelves take it up another level. Ladders to the library mirror those to the balcony, as an LED-stick chandelier reflects the balcony’s metal sculpture. A few bike patents, concrete walls and a crouching lamp tick more industrial boxes.